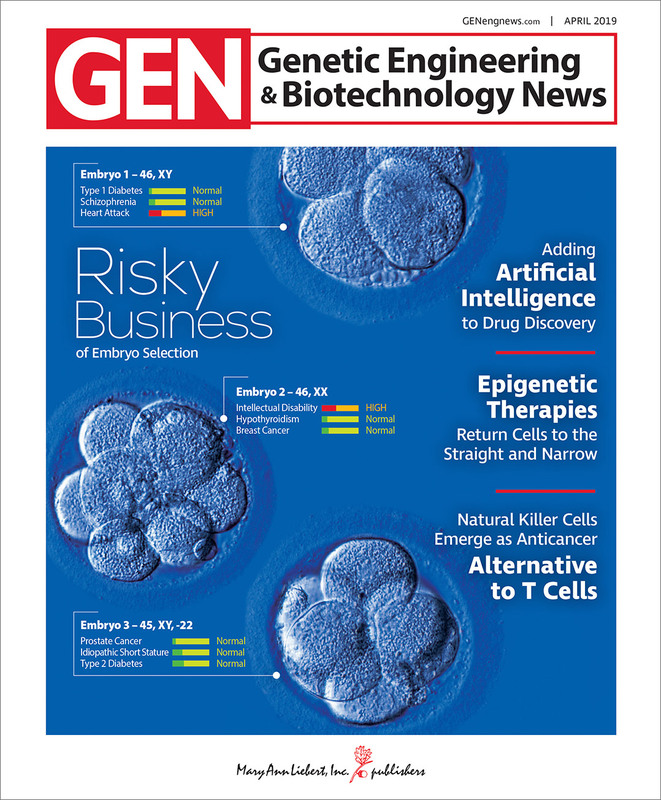 In this issue of GEN, learn how once-theoretical issues in preimplantation genetic screening are becoming real, for better or worse, now that polygenic risk scores are being calculated by companies such Genomic Prediction. Read how epigenetic therapies to reverse aberrant gene expression are becoming more specific, and successful. There’s no fortune telling involved in the use of artificial intelligence to improve pharmaceutical R&D. It simply automates data analysis and the identification of causal relationships. As a GEN article points out, you need good data for drug discovery, not tea leaves. And see how vaccine manufacturers are beginning to leverage process technology that already benefits the broader biotechnology industry.